Bushwick resident of Iranian descent, musician Elaheh Farmand, has been living in Bushwick for a little over a year now and has been seeing a lot of things that bothered her. "Poverty, homelessness..." "I feel like it's such a divided class and that I am privileged and I feel guilty any time I can't help a homeless person or spare a dollar," she emailed us last week. "I realized I need to really start doing something myself. I reached out to the City Council today and inquired about any community service projects I could get involved with," she continued. "I guess my point is, as my friend said, we can't wait for the government to change things. We have to start doing something ourselves." 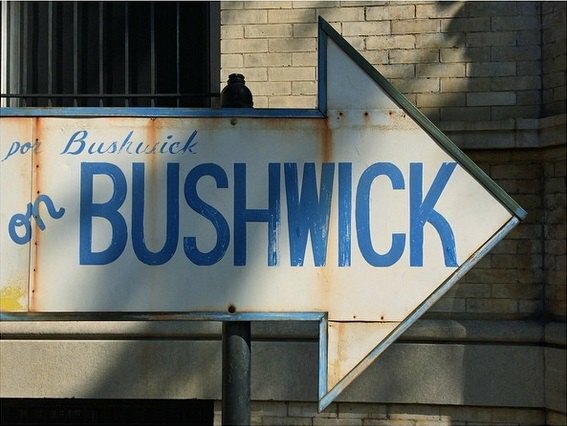 Elaheh wrote a letter to the President about Bushwick and asked us to publish it here, on Bushwick Daily. Here is the full version. We are welcoming your constructive discussion! I am a 27 year-old woman living in Bushwick, Brooklyn. Bushwick is now very gentrified and many young people like myself have begun to reside there. I am writing to you today about an issue that has been troubling me since I moved to this area of Brooklyn. I am writing because everyday, I see a lot of homelessness and poverty. I, a privileged young adult don't make enough money to give to the homeless everyday. I live with this constant, awful guilt. I am privileged yet broke. Broke as in I don't have a savings. I still owe thousands to my credit card and I have many student loans to pay off. And yet when I look around me, how can I possibly say I am broke when I still have the privilege to buy what I want and simply put it on a credit card. I can't ask you to solve poverty over night. There are so many things that are bothering me these days. The fact that I grew up in Iran and the only thing I hear on the news is "Nuclear" or the blood ISIS sheds everyday. These are troubling things I watch on the news when I am at the gym. I have stopped watching the news for this. But rather than telling you all my troubles, I want to focus on one thing: on my city. On Brooklyn. I consider it home even though I moved here only two years ago. I have lived in different parts of this city and one thing that stands out to me is how divided we are. It's certainly a class system. It's an unfair class system. If you have never been to this part of the city, I advise you to please take a visit. Visit the ER for instance at the Flushing stop off the J/M train in Bushwick. Woodhull Medical Center. I was there last night after having severe abdominal pain and I walked in there and a bit later forgot about my pain. I forgot because there were so many desperate faces there, in more severe conditions, unattended and in pain. It broke my heart. I wished then that I was a nurse so I could help out. I left after two hours because no one saw me and my pain began to go away but I had that option to leave. I am privileged and I live in a class system. I am not sure how you can solve this. Do people get paid enough to want to work at the ER? Can we do something about the homelessness? Can we provide more to our people? I give a dollar here and there but clearly that is nothing and even that I can't do every day. Please tell me there is something we can do. I would be happy to be a part of a change. But I just wanted to tell you that this is what I see everyday: A divided class where many are invisible.